By Jenny Murphy Byrne | October 3, 2017. 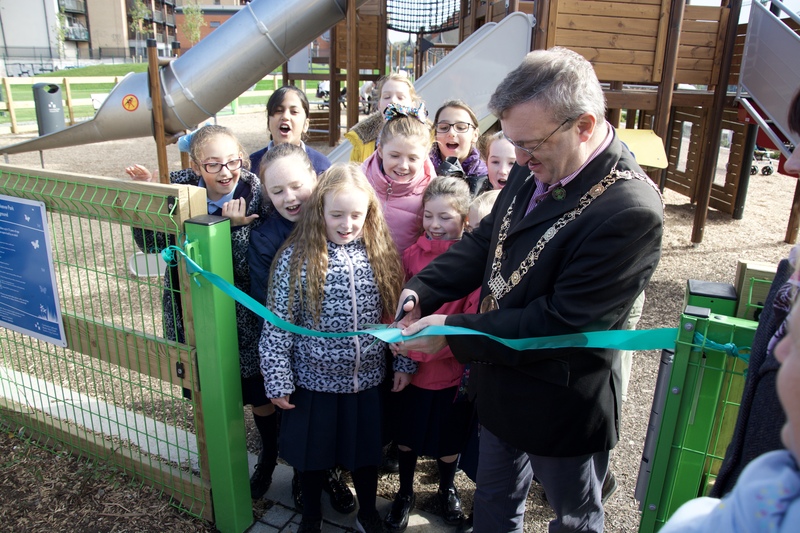 Weaver Park on Cork Street was officially unveiled this week by Dublin’s Lord Mayor Micheal Mac Donncha – some weeks after local people starting using it. 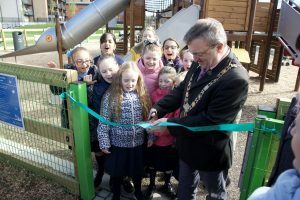 Around 60 people attended the official unveiling, including councillors and TDs, with local national schools, Saint Brigid’s and Saint Catherine’s, enjoying the new play facilities. Dublin City Parks Superintendent Leslie Moore, Mayor Donncha and Cllr Rebecca Moynihan all took to the podium to reiterate that Weaver Park belongs to the people of the Liberties. 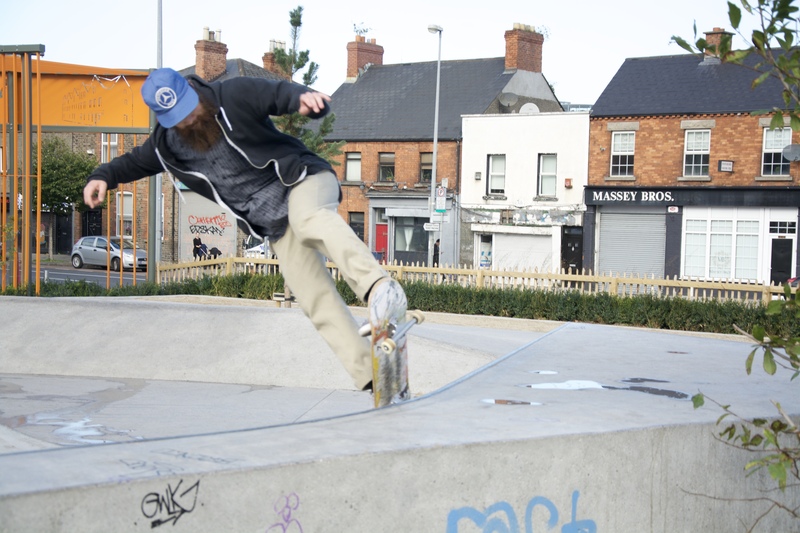 Cllr Moynihan was involved in the efforts to create the park on the derelict site. She said that the purpose of the park was to provide facilities for not only children but for young adults also. “Initially some people were quite resistant to the idea of skaters, and actually I said skaters would be the best people you could potentially have in a park,” she said. 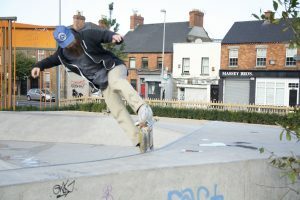 The Skater D8 community was instrumental during the development process of Weaver Park. The D8 Skaters said the architectural team got the shape and the edges of the park right, but are wary about the gravel spreading over to the bowl. The group have written to the council and asked them to fix it. A councillor confirmed this was a teething problem and will be corrected in due course. The topic of anti-social behaviour was addressed at the event following the recent burning down of a children’s playground in Ballymun. Both residents and councillors accepted there is a chance Weaver Park will be vandalised, but it is up to the community to combat that risk. “Vandalism happens in parks in every area, unfortunately. But I think the best way to overcome that is with good policing and community vigilance. The more the park is used, the less vandalism you’ll see. This park belongs to the community and we need to isolate those who wish to commit anti -social behaviour,” said Mac Donncha. 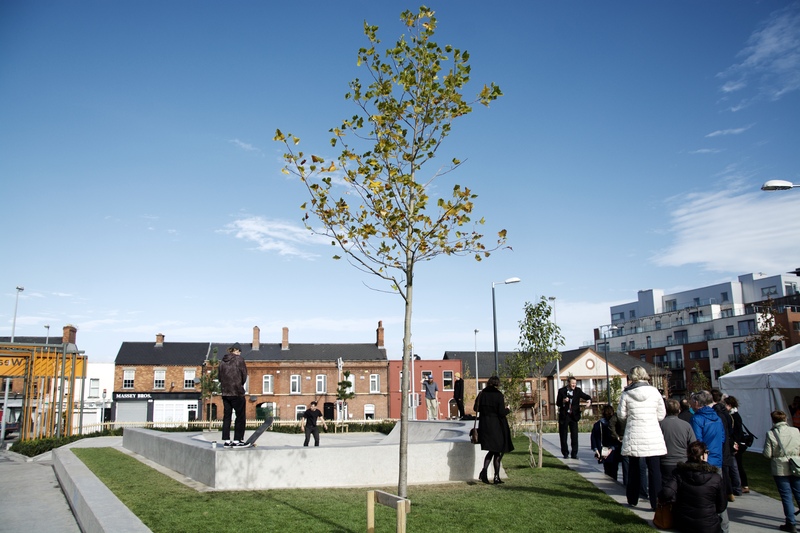 Weaver Park is part of the Liberties Greening Strategy which envisions a network of urban parks, making accessible green spaces and refurbishment of existing green spaces and play areas. Creating an open public space – the new park is not fenced – may have its problems, but the locals see no negative issues. “I think we need to move away from always putting railings around parks, there is enough protection around the playground. “People should be able to walk through here en route to work or college without having to open a gate or jump a fence,” said local resident Anne Canning. The children of the Liberties, who will likely make the most use of the park, were understandably excited. Each speaker at the event echoed Cllr Moynihan’s concluding message to the people of the Liberties. “This park was led by the community, it was developed by the community. This is our park, we fought hard for it and it’s up to us to make sure that it’s a success for the next 200 – 300 years,” said Cllr Moynihan.